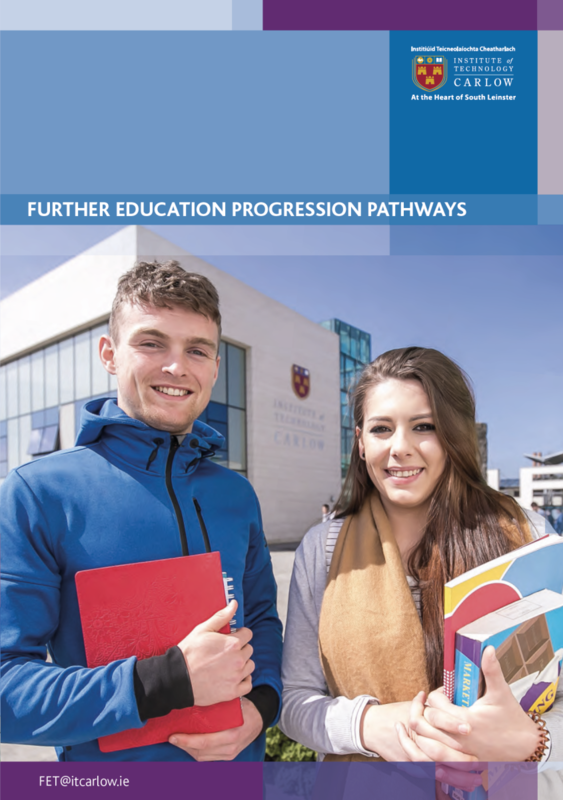 IT Carlow’s Further Education Progression Pathways ensure greater access to Higher Education for students who successfully complete a FETAC/QQI course in a partner College of Further Education and who satisfy the certain entry criteria. IT Carlow’s Progression workshop(s) in Carlow and Wexford will involve student participation in generic skills training appropriate to entry to higher education as well as discipline-specific input. Attendance at this workshop is mandatory. View student profiles of IT Carlow students who studied at the Institute after applying through the Further Education Progression Pathway. If you are unable to attend IT Carlow’s Open Day, a Campus Tour provides a great opportunity to see the Institute, and help you get a feel for campus life. You will get to view our state-of-the art buildings and facilities and newly built Haughton Teaching and Learning Facility. The Institute holds an annual Open Day which can be a great opportunity for students and education providers to see our wide range of facilities and speak to staff and students about courses and college life. The Institute will hold its annual Open Evening on Wednesday 16th of January, from 6.00-8.00pm.